With so much hype surrounding the ongoing success of the MONA (Museum of Old and New Art) in Hobart I felt the need to check out what all the fuss is about. So I made my way over Bass Strait for the weekend to explore what else Hobart has to offer. I was shocked, enlightened and surprised at what I found. There are many bewildering and quirky places to stay in Hobart, from modern business hotels to artistic masterpieces. Depending on your budget, the Collins on Collins Street is a wonderful business hotel that is close to all major activities and is well priced. For an inner city splurge, the Henry Jones Art Hotel is hard to miss with it’s classic IXC jam factory facade from World War II which inside is filled with contemporary and classic art work and maintains a traditional barn feel. Situated on Salamanca and the harbour side, location and comfort is everything at the Henry Jones. To top it all off – if you have the cash – The Pavilion at MONA is the top place to stay, for around $390 starting price a night. There are eight pavilions on the MONA grounds; about thirty minutes drive from Hobart in Berriedale and each function like a household. With complimentary fruit, a coffee machine and all the bells and whistles included in the brightly coloured room display, every suite is luxurious. If you are anything like me, once you find somewhere to stay, food is naturally high on the agenda. With an abundance of places to eat in Hobart there is a variety of choice however many of the cafes and smaller diners in the city are in fact closed from 4pm Friday to 7am Monday. If you are visiting over the weekend, Pilgrim Coffee is the best cafe in town and offers a stripped down brekky and lunch complimented by a high standard coffee selection. Slightly less popular with visitors to the area, Pilgrim is a great way to start the day. If you wish to follow the tribes, Jackman and Mcross have two locations, one conveniently on the drive out to the MONA and the other at the popular and picturesque Battery Point. Busy all day, every day the deli style bakery is worth a visit if you can manage to get a table. Smott, Yellow Bernard and Pigeon Hole also follow popular trends however are closed on weekends. There is more luxury than art at the Museum of Old and New Art (MONA). With an array of fine dining restaurants, wine bars, cafes and an onsite vineyard and brewery, this entrepreneurial adventure by millionaire David Walsh is a true fantasy. Exhibiting his privately commissioned collection with a mix of touring world shows the gallery at MONA is unlike any other. Built into the cliffside with no natural light, space is altered, tested and often-confusing visitors whilst provoking conversation. Start at the top and work your way down and believe me when I say you will need a visit to the wine bar at the end. Outwardly controversial, the MONA is a fascinating and perplexing experience that is both hard to love and hard to hate. To warm up late afternoon after the brisk boat ride back to town from the MONA, a visit to the Lark distillery is a sure thing to break the Antarctic breeze. 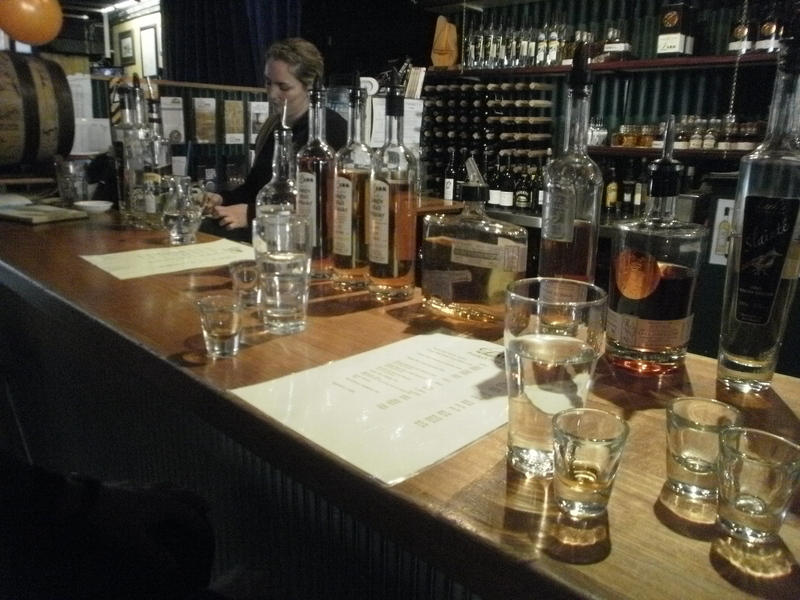 Whisky is the answer and the Tasmanians know how to distil it and at the Lark Distillery on Davey Street the Whisky is above and beyond. With an array of single malt whisky distilled on site the hand bottled brew is one of a kind. Selling the finest from around the world, the Lark offer a $6 taste testing teaser where you can choose from a wide selection of their testing menu. Serving coffee and food, the Lark Distillery caters for families escaping the cold for a warm lunch or for those Whisky know-alls and Whisky no ideas that want to drop in for a quick drink. Daylong tours of the distillery run daily for around $200 per person. 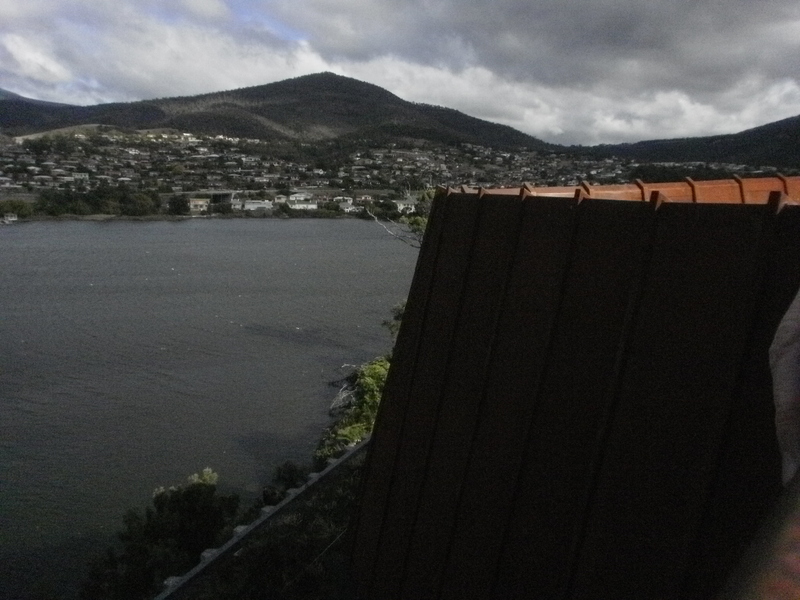 Nestled into the foothills of Mount Wellington at Sullivans Cove is Salamanca Place. 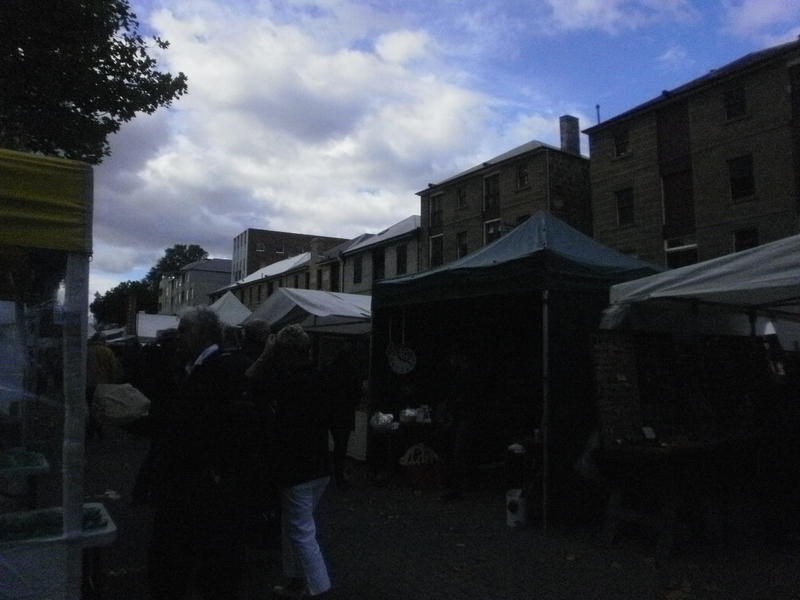 During the week, Salamanca is a thriving hub for established artists, with many art galleries and wealthy artistic stores in the area run by local art vendors who focus on displaying native and natural materials from the area as well as playing host to international guest artists visiting Tasmania. On a Saturday morning, Salamanca transforms in to a bustling marketplace, Salamanca Markets. Open from 8am every Saturday, the Cove comes alive with food vendors, street sellers, musicians and tourists all out looking for a bargain and entertainment. Stall vendors are mostly veterans of the markets and have been setting up shop weekly for many years. The food is plenty with Aussie traditions including warm jam donuts and sausage rolls to fruity favourites from the north with tasty smoothies, waffles and Asian based dishes. If you didn’t get enough brew at the distillery, it is worth talking the ten minute drive out of town to the Cascade Brewery. Offering $20 tours every couple of hours, the hour long tour not only includes a detailed history of the factory and of beer in the region including the infamous rivalry with Boags in the north of the state but also offers four drinking tokens to sample the finest local beers, ciders and soft drinks at the end of the tour. 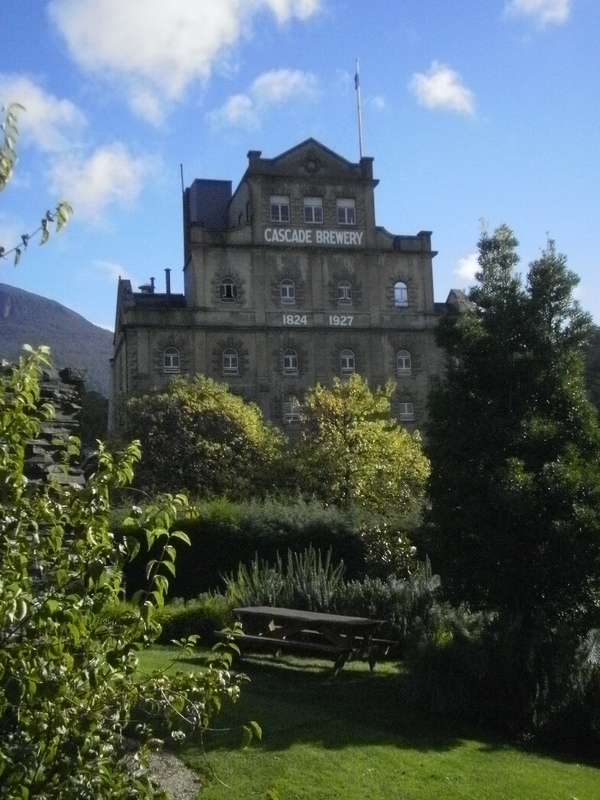 The brewery is located amongst some of the most beautiful Tasmanian countryside, tucked away so much so it is hard to remember it is only 10 minutes out of town. The staff are friendly and very enthusiastic about their jobs and their state.